Or … Can I be certain that The Bible is The Word of God? I’ve got a bighearted, well-studied, Christ-following, Bible-believing friend. He passionately and tirelessly works in college student ministries. I admire him and like him a lot, but we don’t always agree on every issue about God. We’ve had some great discussions and at least one theological argument. – In Genesis 15:4 we can read that when Abram was looking at the stars, the Word of God told him that his descendents would outnumber them. When that happened, the Bible would not be in a physical form for many, many years. – In the New Testament (Luke 5:1), we can read in the Bible accounts of how people would sit around Jesus and listen to the Word of God. They were listening to Jesus, not a reading from the Bible that, again, was not in physical existence yet. – It seems to me that The Bible and the Word of God are not the same thing, even according to The Bible itself. – I believe the Bible is the written expression of God’s Word; which is Himself. Or, more simply, the Bible is the written Word of God. It’s the best text we have that reveals who God, or the Word is. – Jesus Himself is God and is The Word Of God. – Jesus Himself is more than my limited understanding of the text in the Bible and more than the text itself. – It sounds to me like the invited pastor’s presentation was about how we can be sure the Bible is a valid historical document. which it certainly is. This is an interesting and worthy topic of discussion I am sure, but it is not the same as giving people cause to be “certain [that] The Bible is the Word of God.” Being certain that the Bible is a valid historical text is NOT the same information as being certain that The Bible is the Word of God. 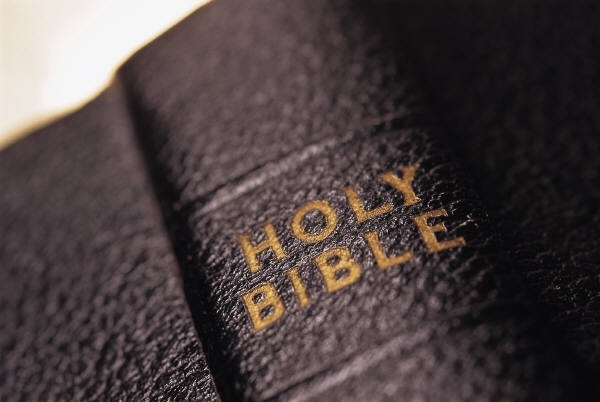 – The Bible is MUCH, MUCH more than a valid historical document, but it is my strong conviction that our printed text – The Bible – is not equivalent, interchangeable, or equal to the Word Of God – God Himself. – It is my conviction that knowing the Bible is NOT the same as knowing and being known by Jesus – the living Word of God. – It is possible that being “certain” that I know God because I know my Bible could actually distract me from knowing Jesus the living Word. – People believing they were “certain of the Word of God” when they were actually absolutely immoveable from their interpretation of scripture has been the cause of much disunity and confusion in the body of Christ, people turning away from Jesus because of our infighting, and violence, carnage and death besides. For example: Leading up to and during the American Civil War, both north and south were absolutely convinced that the “Word of God” supported their position on abolition AND continuation of slavery respectively. A bloody war was fought as a result. There are countless other examples. – What Jesus communicated at that time, I believe He is still communicating to us today. – “I need more than the words on the page. The words are good, but the author I crave” from the song “Jesus Loves Me (I Need More)”. Some good points in there mate. I agree, this life is about getting to know Jesus, and allowing him to illuminate His written word with specific revelation for your situation. I think of that AW Tozer quote “What I believe about God is the most important thing about me.” That’s where context wisdom, and revelation is important to understanding God’s intent through His written word was in each situation. The written word of God can get taken out of context sometimes and it really messes up people’s understanding of who God is. I want to know HIM. I think of a great sermon series Andy Stanley did on the ten commandments in explaining God’s intent in writing them the way He did. It really helped me understand that those commandments are way more than a list of do’s and don’ts. They actually reflect what is important to God….born out of relationship with His chosen people and now us. That’s my thoughts…. Nice work Grant, very nice work indeed! Thanks for the sarcasm and the kind words Mike. Now, I guess, we’ve both been called “Neo pagan post evangelicals”! Great post Grant, I found it extremely interesting. Glad you posted the link on fb, I will definitely continue to read it. Worship the Author!! Thanks Grant! I too need more than words on a page. Thankfully through daily relationship He reveals Himself in so many other ways that His Word backs up. Thanks Archie … but please don’t worship the author. Worship God.